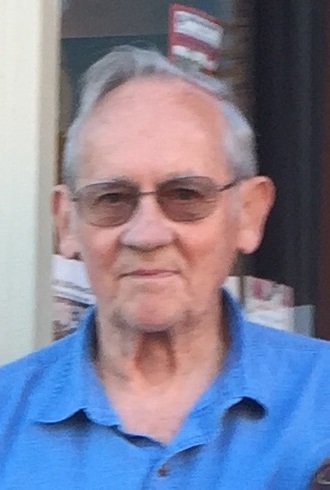 George Fredric Wagar, age 89 formerly of Henderson, died on January 26, 2019 in St. Louis Park. On Friday February 1, 2019 from 9 to 11:30 a.m., there will be a gathering visitation at the Henderson RoadHaus Event Center, with a Celebration of Life Service at 11:30 a.m. A lunch will follow the service, at the event center. George was born on May 11, 1929 in Alliance, Nebraska to Harry and Ella (Rogers) Wagar. As a youth he moved with his family to Bonners Ferry, Idaho. After graduating from high school he moved to Alaska to work in the gold mines. He then moved to Chicago and worked for National Steel. He transferred to Minneapolis and continued his employment with National Steel. George married Audrey Trimbo on October 13, 1951 at St. Thomas Catholic Church in Jessenland. They lived in Mounds View for over 50 years. He purchased the Red Owl grocery store in Henderson in 1981. George was active with business opportunities in Henderson, Henderson Lions Club, and enjoyed golfing with his friends. He retired to California and recently returned to Minnesota because of failing health. He is survived by his children, Bob (Randi Gordon) Wagar of Henderson, Barb Conrad of Henderson, David (Sandy) Wagar of Forest Lake, and Chris Wagar of Oakdale; grandchildren, Adam (Samantha) Conrad, Eric (Katie) Conrad, Amanda Bruner, Josh (Lindsey) Bruner, and Hayden, Preston, McKenna, and Finley Wagar; and great-grandchildren, Chloe, Ellie, Mylee, and Cole Conrad and Beckett Bruner. He was preceded in death by his wife, Audrey in 2001.